The end is here. Robert Francis O’Rourke can use the trailer from the movie 2012 for his campaign commercials. 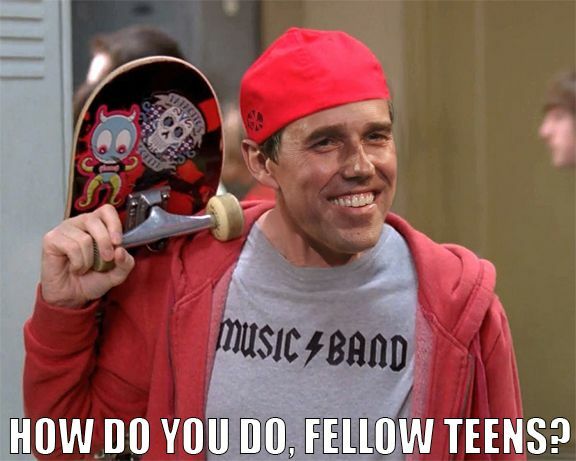 Beta Boi, Robert Frances O’Rourke was arrested for burglary and DUI in 1998. Since Beto is making a fool of himself as Mr. Doom & Gloom, Mr. Gesticulation, and Mr. Know Nothing, I thought I’d give him another name since he is also a big jerk. Therefore, Mr. Jerk will now be known as “Beatoff O’Rourke, the Jerk of a candidate”. Now you know how he can move his hands so much when he talks. Lots of practice. His new presidential campaign song is “Beat It”. Favorite film is “Beetlejuice”. Favorite food, “Beets”. Singing “We’ve got the beat”. If Ted Cruz didn’t pull that silly stunt at the RNC Convention he would have beaten Beano by 10 Points.